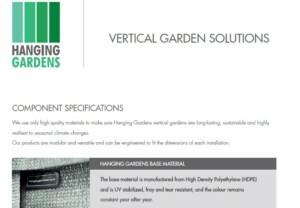 We use high quality materials to make sure Hanging Gardens vertical gardens are long-lasting, sustainable and highly resilient to seasonal climate changes. 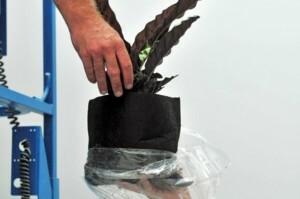 Our products are modular and versatile and can be engineered to fit the dimensions of each installation. 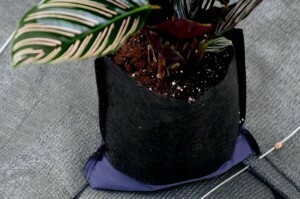 Hanging Gardens have two components – an outer garden pocket and our unique removable, botanical felt pockets. The outer garden base material is manufactured from High Density Polyethylene (HDPE) and is UV stabilised and fray and tear resistant. The colour remains constant year after year and the outer material is guaranteed for 15 years. 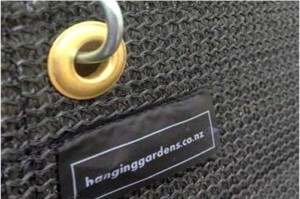 The outer garden has three pockets. 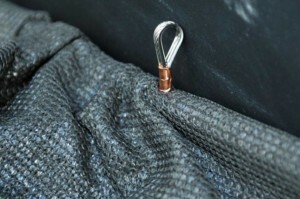 Each pocket is 30cm wide by 22 cm high and the complete item is 90cm wide by 40cm high. 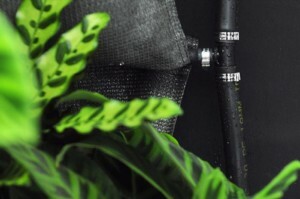 The botanical felt pockets are manufactured from 100% polyester felt and nylon waterproofing membrane. 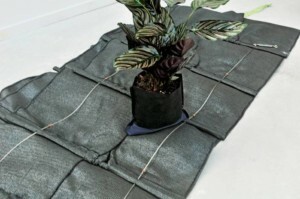 Tough and reusable, the botanical felt pockets provide good soil depth, retain a high degree of moisture and keep the roots aerated to ensure plant health. Suspension rods, suspension rigging, fixings and turnbuckles are manufactured from Marine grade 316 Stainless Steel for durability, performance and for its increased resistance to corrosion. 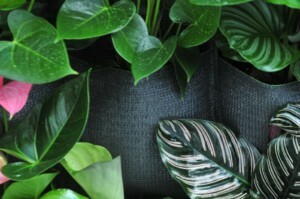 Our Freestanding Framed Gardens and Planter Gardens are manufactured from powder-coated aluminium and stainless steel components. 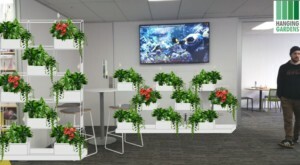 Available in single-sided and double-sided configurations, and in a range of sizes, these modules are ideal for use as interior partitions or to create small exterior vertical gardens for balconies and similar features. Custom-sizing is available and the addition of casters offers mobility and extra flexibility. 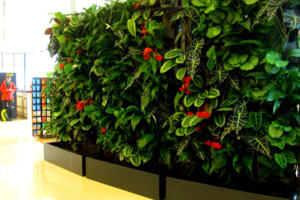 Hanging Gardens installations can include battery or electrical powered automated irrigation systems. Drip feeding small amounts of water each week is water conserving and, ideally, uses stored rainwater from the roof. This approach delivers low operating costs, easy maintenance and water management benefits. 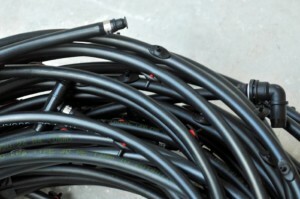 The recommended water pressure for drip irrigation is between 2 and 4 bar. Want a copy of our Specifications brochure?